There are only few days to start of Formula Etihad airways Abu Dhabi Grand Prix, which will held at Yas Marina Circuit. It's too late to go there, unless you have prepared at least a month earlier. The main reason for this is the period required for visa, and the lack of airplane tickets and tickets for formula 1 Grant Prix at reasonable prices. The fastest way to go there is a flight with Etihad Airways, the national airline of the United Arab Emirates, which will take you directly to the Abu Dhabi International Airport. I traveled with transfer at Istanbul Ataturk airport and flight took about 4 hours and 40 minutes. 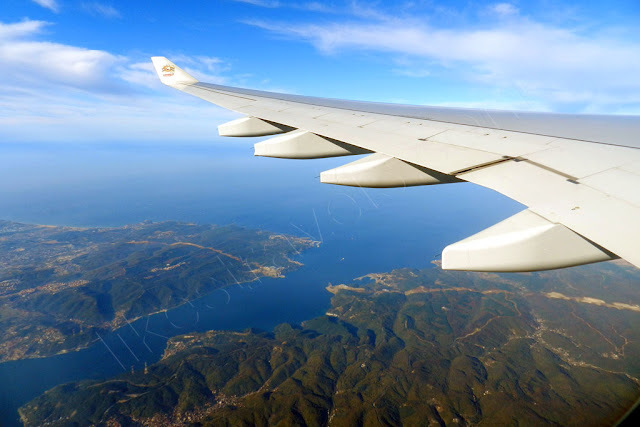 The time during the flight passed very quickly, because the aircraft (Airbus A330) has very good inflight entertainment system (E-BOX) and the food was very good. Needless to say that on board service is at a very high level. 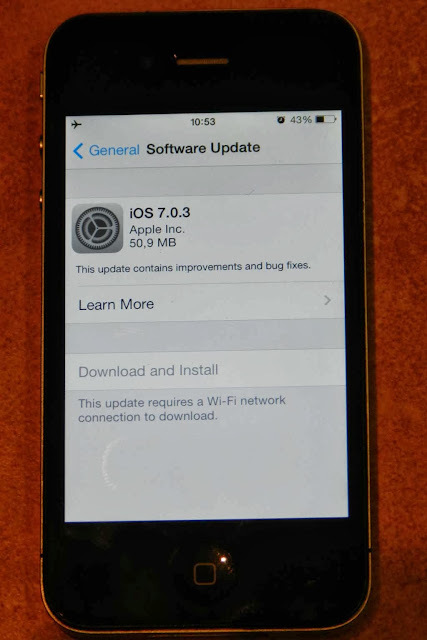 Less than two months after the new iOS 7 release, there is another update - 7.0.3. As you know, pumpkins, corn husks and scarecrows are elements of the autumn season and homes are often decorated with these types of symbols around Halloween. Except one of the world top ski destinations, there are a lot of interesting things to see in Austria. Halloween is coming and the tradition of carving pumpkins reminds me for Wachau valley, in Lower Austria (Niederösterreich). When I first got there, it was October and there were various size and colors of pumpkins everywhere - on the local markets and used as decoration for homes. Bye the way in one of the castles I visit, I tried first time in my life – Austrian pumpkin soup (Kürbiscremesuppe). Besides pumpkins at this time of the year, after the vintage, usually the first new wine is produced. Visiting this area of Austria, you can taste the new wine almost everywhere. 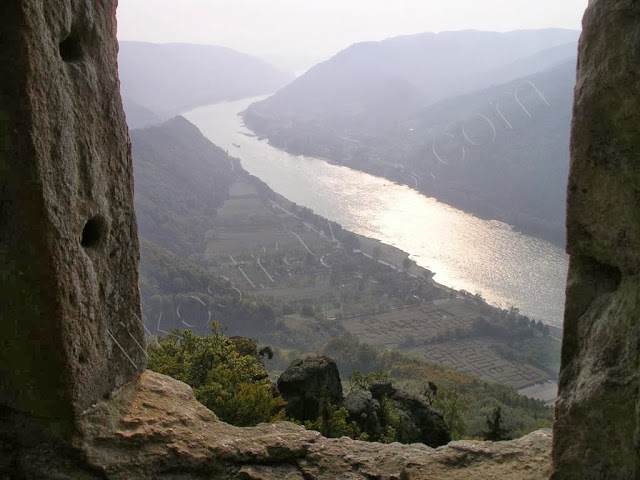 There are a plenty of Wachau wine tasting winery tours. Halloween is coming. 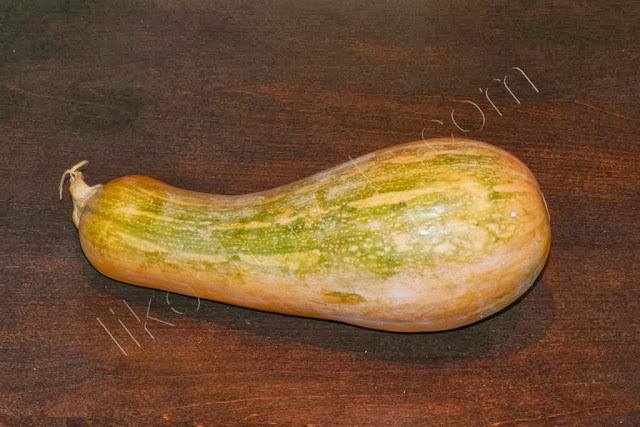 One very important symbol of the celebration is pumpkin. It reminded me of one very tasty recipe I've collected during my travels - Pumpkin and milk dessert. I've tried such a tasty dessert so far only in Bulgaria, so I consider it as part of the Bulgarian cuisine. I'm curious to know if there is such a sweet dish somewhere else in the world, so please leave your comments. I personally tried it at home and I can say it is very fast and easy to prepare. Halloween celebration is a perfect occasion to try it. 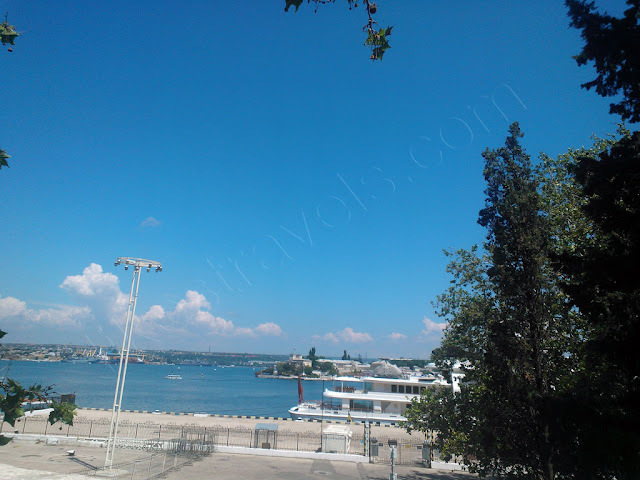 If you are in Sevastopol (Севастополь), Ukraine for some reason and even if you do not have a lot of time, it is a good idea to take a guided boat tour in Sevastopol Bays, where the Russian and Ukrainian Black Sea Fleet are located. The tour takes less than an hour and costs about 10 €. It starts from Hrafska Prystan , right next to Nakhimova square. You will explore the city, famous for its numerous bays, from the side of the sea. You will see many of the military ships of the Russian Black Sea Fleet and the Ukrainian one. 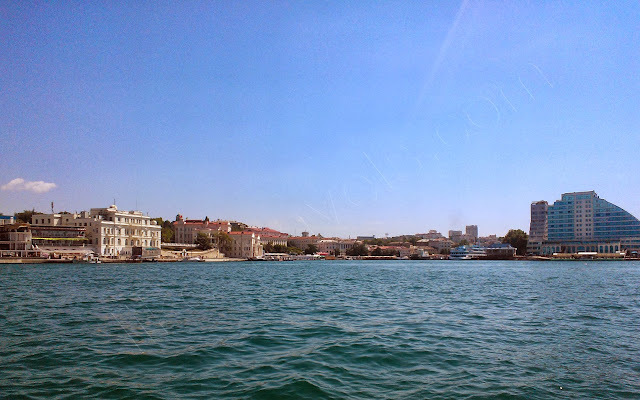 Sevastopol bays boat tour.The Black Sea Fleet (Черноморский Флот) is a large operational-strategic sub-unit of the Russian (and formerly Soviet) Navy and it is considered to have been founded by Prince Potemkin in 1783. Its ships are based in various harbors of the Black Sea and the Sea of Azov and it operates in the Black Sea and the Mediterranean Sea. Its principal base is the city of Sevastopol, Ukraine. Move Week 2013, Sofia, Bulgaria part of the European Week of movement and sport conducted in Europe, which aims to encourage large-scale participation in physical activities and sports, and to help 100 million Europeans to become more physically active by 2020. I visit South park in Sofia on Saturday and I was amazed how many children were playing there. The number of sport federations presented was also an amazing fact. There were a lot of demonstrations in which children had the main role (excepting the dangerous ones like the demonstration of fire extinguishing ). Demonstration of fire extinguishing by people practicing fire applied sport and firemen. 2013/2014 ski season has just started. Yes, it was summer till yesterday, and now the new ski season is coming. It will bring us new emotions as many of us will start planning their winter and ski vacations. That's why I decided to share with you my experience with some typical winter vacations destinations. I’ll start publishing posts about popular and non-popular ski-destinations, I know. I’ll write about another one, that I've visit even in the summer, but I know that they are quite good for vacations in the winter also. Typical example for such a place is Malyovitsa in Rila Mountain, and you can read here about this place, which I visit in August. I’ll provide pictures, videos, links and maps for mountain and ski lovers in “My travels”, “Places” and “Gadgets” sections. 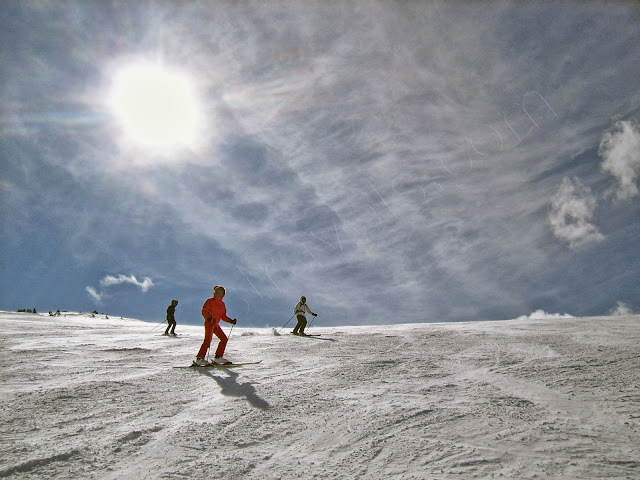 In this post I'll try to inspire you with some information about the forthcoming ski season. AirportIt was quite difficult to choose how to get to Sevastopol (Севастополь) – Ukraine, although the summer season has been already started and except regular flights there are charters also. It turned out that the Ukrainian carrier Aerosvit not perform regular flights because there are some financial problems. I forgot to mention that the nearest airport is in the city of Simferopol (Сiмферополь), which is the administrative center of the Crimean region where Sevastopol is located .